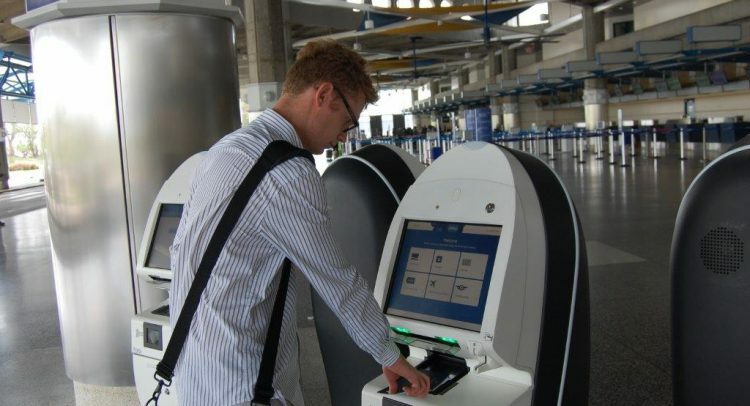 The introduction of kiosks at the Grantley Adams International Airport will not allow persons to “ease” into Barbados. That assurance has been given by Minister of Maritime Affairs and the Blue Economy Kirk Humphrey, who has also reassured Barbadians that they have no reason to fear. Speaking during debate on the Immigration (Amendment) Bill 2019 in Parliament today, he said countless Barbadians had made lives for themselves and their families by migrating. And while he said he had no issues with non-nationals coming to the country in search of better, he maintained that the kiosks were not being used for that purpose. “If anybody understands the Barbadian story, the Barbadian story is an immigrant story . . . if Barbadians want to benefit from our capacity to go to other people’s countries then we must allow people to come to this country too,” Humphrey said. Humphrey said he had never been of the view that persons come to Barbados with the intention of taking more than they could give. In fact, he said any check of the records would show that the prison was not populated by immigrants. “These are fears fueled by xenophobia that in many cases we inherited because of the way we perceive ourselves as a people. We fear our own selves,” he insisted, while adding that the Barbados Labour Party’s (BLP) constitution referenced the idea of regionalism.